SMART & INTERNET.ORG - I Blog, Therefore I Am. Smart launched last Wednesday, through the Talk 'N Text brand, the Internet.org app that would allow access to millions of unconnected Filipinos. We've been preparing for this launch and partnership for months and I must say that this is one of our "heartwarming" offers for the year (Filipino Translation: "May kurot sa puso!"). Smart is a strong advocate of providing Internet For All and Internet.org is one of the initiatives that would further strengthen this. This effort gives FREE web access to anyone who owns an Internet-capable mobile phone in the Philippines IF they are on the Smart cellular network (this includes Smart, Sun Cellular and Talk 'N Text brands). 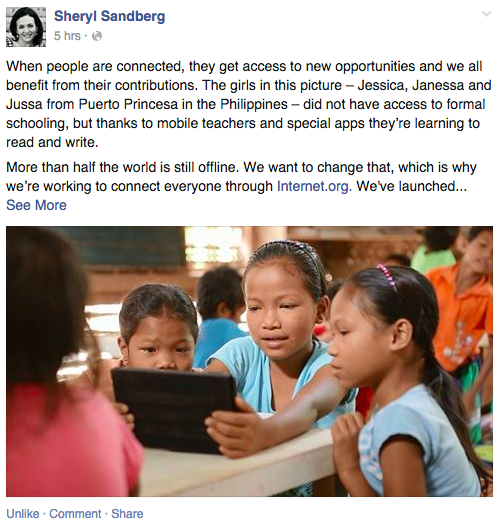 Internet.org is a project of Mark Zuckerberg (Facebook's Founder/CEO/Superhero Extraordinaire - in case you don't know him) with the intent to make mobile Internet services available to the 2/3 of the world population who are not yet connected. 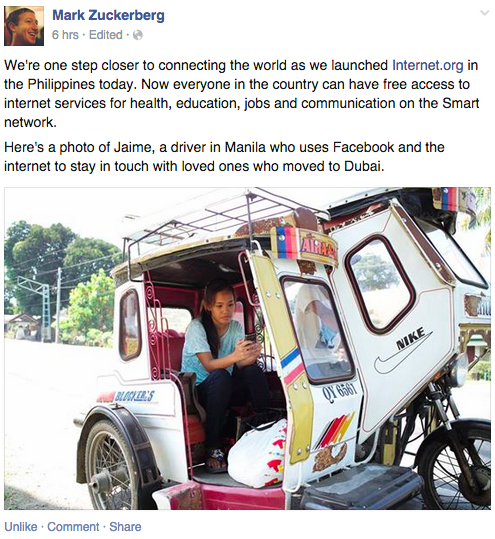 Smart is the first telco to launch the Internet.org app in the Philippines and South East Asia. The first countries that launched the app were Zambia, Tanzania, Kenya, Colombia, Ghana, and India. I was very overwhelmed and happy with their messages. This is a HUGE deal for us and the Internet.org campaign. I can't help but gush! 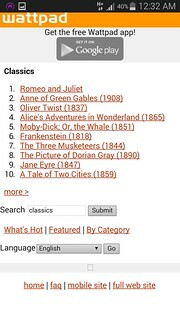 The Internet.org app is available via Google Play and it can also be accessed via WAP at www.internet.org. 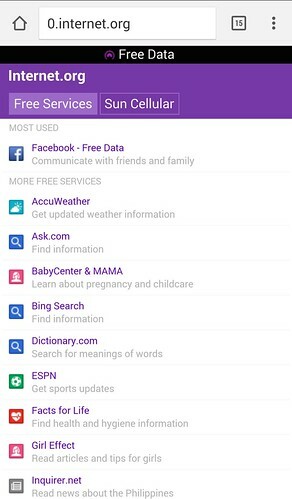 Access to the services is for FREE as long as you stay within the app or at Internet.org. The banner brand for this is Talk 'N Text but service is also available to Smart and Sun Cellular subscribers. Customers may also text INTERNET and send it to 9999 to know more info. The most popular service on Internet.org is Facebook, of course. But this initiative is more than just FREE Facebook. 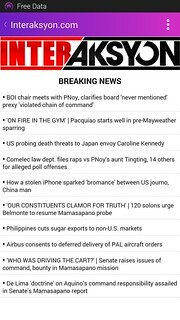 In the app is a suit of web services that is essential and useful to the Filipinos' daily lives. Internet.org covered news, communication, jobs/employment, finance and lifestyle. These 24 services are just the initial list of partners. More sites and services will be added in the days to come. There are two ways to access Internet.org's FREE services: (1) download the app or (2) access it through your mobile phone's WAP. No registration is needed! 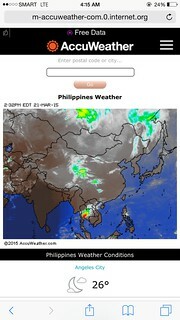 I used my Sun Cellular Prepaid in the step-by-step for the app and Smart for the WAP. 1. 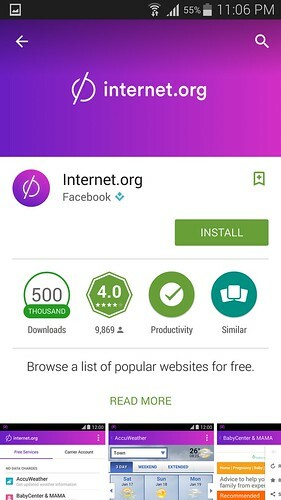 Download the Internet.org via Google Play (downloading of the app is not free of charge and you can download the app over wifi). 2. Ensure that you're NOT connected to wifi and you're connected to your data/3G/LTE. Internet.org will only work when you're on Smart, Sun, or Talk 'N Text and when your wifi is not on. 3. 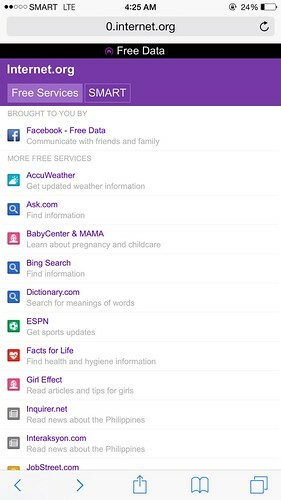 Open the Internet.org app and check the list of sites and services you want to access. 4. Limit your activity inside the Internet.org app to avoid unnecessary charges. 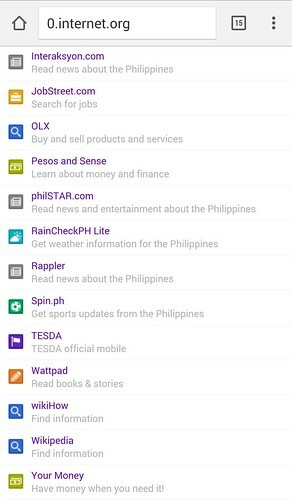 Tip: There's a purple band on top of the screen that indicates that you're browsing within the Internet.org app. See below. 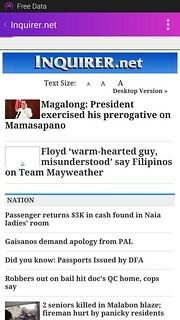 Inquirer.net, Wattpad and Interaksyon via Internet.org app. 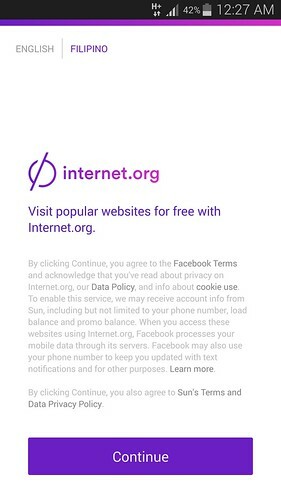 Notice the "Free Data" notification on top of the page. 1. Ensure that you're NOT connected to wifi and you're connected to your data/3G/LTE. 3. Go to http://www.internet.org and check the list of sites and services you want or need to access. 4. Limit your activity in the Internet.org site to avoid unnecessary charges. Tip: There's the word "free" or the number "0" in the URL of the sites that indicates that you're browsing within Internet.org. See below. To know more about this service text INTERNET to 9999 or visit talkntext.com/internetorg. 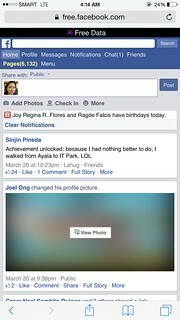 Check out Talk 'N Text & Facebook's Internet.org TVC featuring Robin Padilla. Good morning, how are you? My name is Emilio, I am a Spanish boy and I live in a town near to Madrid. I am a very interested person in knowing things so different as the culture, the way of life of the inhabitants of our planet, the fauna, the flora, and the landscapes of all the countries of the world etc. in summary, I am a person that enjoys traveling, learning and respecting people's diversity from all over the world. I would love to travel and meet in person all the aspects above mentioned, but unfortunately as this is very expensive and my purchasing power is quite small, so I devised a way to travel with the imagination in every corner of our planet. A few years ago I started a collection of used stamps because through them, you can see pictures about fauna, flora, monuments, landscapes etc. from all the countries. As every day is more and more difficult to get stamps, some years ago I started a new collection in order to get traditional letters addressed to me in which my goal was to get at least 1 letter from each country in the world. This modest goal is feasible to reach in the most part of countries, but unfortunately, it is impossible to achieve in other various territories for several reasons, either because they are very small countries with very few population, either because they are countries at war, either because they are countries with extreme poverty or because for whatever reason the postal system is not functioning properly. If you wish, you can visit my blog www.cartasenmibuzon.blogspot.com where you can see the pictures of all the letters that I have received from whole World. Finally, I would like to thank the attention given to this letter, and whether you can help me or not, I send my best wishes for peace, health and happiness for you, your family and all your dear beings. Hurray! I'm just so excited as Mark announced this on his FB page. Cheers to free internet. Will the PLDT group help with the free wifi project of the govt?